April 27, 2010 – U.S. 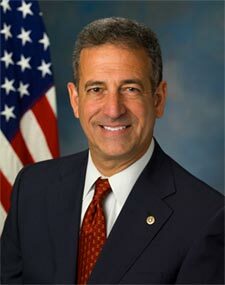 Senator Russ Feingold (D-WI) offered an amendment today in the Senate Foreign Relations Committee to help the State Department address LGBT human rights concerns abroad. The amendment tracks language already adopted last year by the U.S. House of Representatives. Read more. So much of social justice work occurs in single-issue silos. Even within our own LGBT “single issue,” domestic issues in the United States and the LGBT struggles in the rest of the world rarely intersect. Last week, the Council for Global Equality and its 19 organizational members submitted a report to the United Nations on the human rights record of the United States on a variety of LGBT issues. This submission is a rare example of international and domestic advocacy coming together to reinvigorate each other. The report was submitted for “Universal Periodic Review,” a relatively new mechanism of the United Nation’s Human Rights Council, whereby every nation has its own human rights record reviewed by other states in a peer review process. The United States has signed a number of different international human rights treaties, and the UN will now assess how the United States is complying with its international human rights obligations at home based on those agreed standards. As part of the information gathering process, the Human Rights Council reviews submissions from the nonprofit field before issuing its recommendations. This process is one of the key “naming and shaming” tools that the UN has to address human rights issues around the world, and it is a mechanism that LGBT groups from around the world increasingly use to draw international attention to and seek government accountability in their struggles for equality. As we like to say in social justice work, it’s just another “tool in the toolbox” for addressing injustice. It works better in some countries than in others. It works better for some issues than for others. But as world opinion gradually comes to accept human rights violations on the basis of sexual orientation and gender identity as actual wrongs, and as international law is increasingly interpreted as being inclusive of sexual orientation and gender identity, this tool is ever more useful for LGBT movements around the world – including for the United States. The Council for Global Equality primarily focuses on U.S. foreign policy matters as they relate to sexual orientation and gender identity issues. Yet we strongly believe that attention to these fundamental issues at home can only strengthen the Obama administration’s voice in standing against homophobia and transphobia abroad. In fact our very legitimacy as a human rights leader in the world is dependent upon our cleaning up our own messes at home. That is why our submission to the UN, which focuses on hate crimes, workplace discrimination, and lack of partner and family recognition in the United States, suggests a very clear remedy for each of these three main problem areas – with most of those remedies tied to specific legislation currently pending in the U.S. Congress. As a part of the Universal Periodic Review process, the U.S. Department of State also welcomes the perspectives of various communities and nonprofit organizations before it reports on itself to the UN. Together with other federal agencies, State Department officials have traveled the country convening “listening sessions” as part of this self-reporting process. Last month, they listened to groups in San Francisco, including a panel of amazing individuals who personally testified to the impacts of these human rights abuses on the basis of sexual orientation and gender identity in the United States. 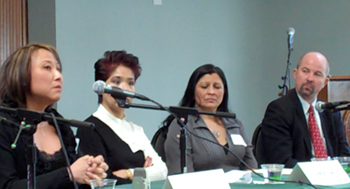 Those powerful and heartbreaking personal stories can be heard here (UPR LGBT Panel), and remind us that these are not esoteric issues of international treaty law – these are real issues that impact real people every day in our country. That is why it is time for the United States to adopt the complete battery of legislation we need to grant full human rights to LGBT Americans. We must do so to be compliant with our nation’s obligations under the international treaties and covenants to which we are party, and to live up to the values of equality, fairness, and inalienable rights that this democracy was founded upon. We are hopeful that the UN will similarly recommend that the United States rectify these issues based on an updated interpretation of our nation’s international obligations. The Council is eager to promote this unique moment, when the international and the domestic agendas for the LGBT rights movement come together in support of Global Equality. The Council for Global Equality and HRC submit report to United Nations Human Rights Council as part of the Universal Periodic Review (UPR). The U.S. Senate has unanimously passed a resolution introduced by U.S. Senators Russ Feingold (D-WI), Tom Coburn (R-OK), Ben Cardin (D-MD) and Susan Collins (R-ME) condemning the “Anti-Homosexuality” bill in Uganda and calling for all countries to decriminalize consensual homosexual relations. Read More. Today, the Senate Foreign Relations Committee passed a senate resolution (S. Res. 409) by voice vote that calls on members of the Parliament in Uganda to reject the proposed Anti-Homosexuality Bill, 2009. The Anti-Homosexuality Bill, 2009 would make homosexuality in Uganda punishable by life imprisonment or even death. The bill was introduced in Uganda’s parliament on October 13, 2009, where it remains pending. Read more. Uganda’s anti-homosexuality bill remains pending in parliament. The latest edition of Box Turtle Bulletin reports on what may be the bill’s slow demise (follow link below). However, until the bill’s demise is definitive, progressive Americans must remain vigilant – and, worth noting, the damage to Uganda’s lgbt community is already substantial. Box Turtle Bulliten- The Quiet Death of Uganda’s “Kill the Gays” Bill?